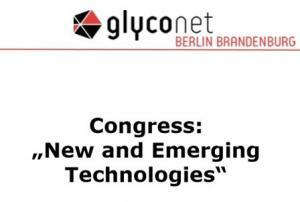 You can meet us at the congress "New & Emerging Technologies" which is held during September 11-13, 2017 in Potsdam. Please visit us at our booth! Looking forward to a fruitful discussion with you. In addition, we will present with a booth at Biosimilars Global Congress Europe in London (September, 25-27, 2017) and we can meet during CPhI in Frankfurt (October, 24-26, 2017) and Bio-Europe in Berlin (November, 6-8, 2017).